Phantom Ranch is a comfortable oasis nestled at the bottom of the Grand Canyon. It is tucked in beside Bright Angel Creek on the north side of the Colorado River and is the only lodging facility below the Canyon rim. The Ranch can only be reached by mule, by foot, or by rafting the Colorado River and is a popular stop-over point for hikers and mule riders traveling to the bottom of the Canyon via the famous Bright Angel or Kaibab trails. Open year-round. The ranch was designed by architect Mary E. J. Colter and completed in 1922. The rustic cabins and main lodge are built of wood and native stone and do not intrude on the natural beauty and solitude of the setting. 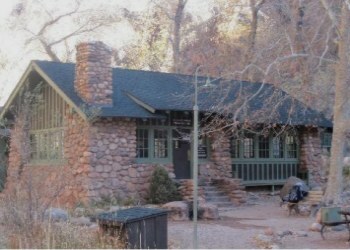 Overnight accommodations at Phantom Ranch consist of dormitory spaces and cabins. Cabins and dormitories are heated and cooled during the summer months. Dormitories are separate for women and men -- each has ten bunk beds, a shower, and restroom. 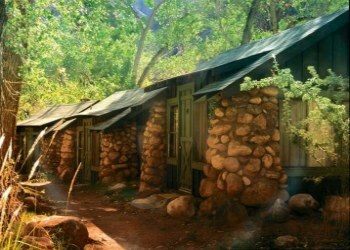 Phantom Ranch offers eleven unique, rustic cabins. Each is furnished with a set of bunk beds, all bedding, cold water sink, toilet, liquid soap, and towels. Showers are provided at a central location. Cabin accommodations at Phantom Ranch are included with the overnight mule trips. Cabin accommodations and dormitory-style lodging are available to overnight hikers with an advance reservation. A National Park Service campground is also located nearby and requires a backcountry permit. 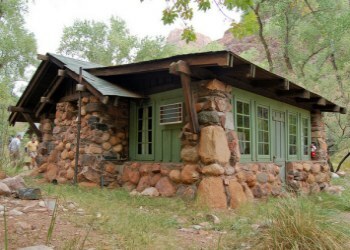 A backcountry permit is NOT required for people staying in Phantom Ranch dorms or cabins. 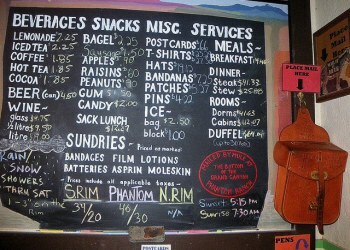 Also popular is the Phantom Ranch Canteen where meals, beverages, and sundries are available for adventurous travelers who journey to the bottom of the Canyon. Meals MUST be reserved well in advance of your descent. Mule trips do include a lunch on the way down, steak dinner that night and a breakfast the next morning before the ride out. 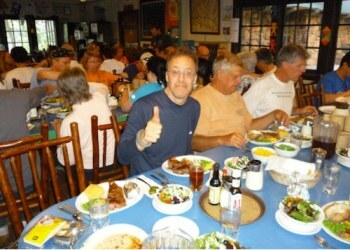 Hikers need to reserve meals separately and well in advance. 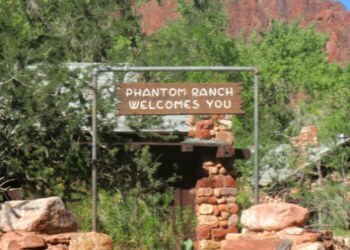 Be sure to make lodging and dining reservations at Phantom Ranch as far in advance as possible. We recommend that all meals be reserved at the same time room reservations are made. Reservations are accepted for stays up to 13 months in advance. On the first of each month, we will begin accepting reservations for the entire month of the following year. For example, on September 1, 2012, reservations through September 30, 2013 are accepted. Phantom Ranch is not available for online reservations, however we are happy to process your request via our Reservation Request form. Please be sure to include a billing address, phone number, fax number, and e-mail address to expedite a response. Remember to always provide complete information on any correspondence. Please do not use this form to request group reservations. Please note that on the first of each month, our staff's priority is directed to answering phone calls. Therefore the Reservation Request Forms, e-mails or faxes are not recommended when requesting reservations at Phantom Ranch on the first of the month.